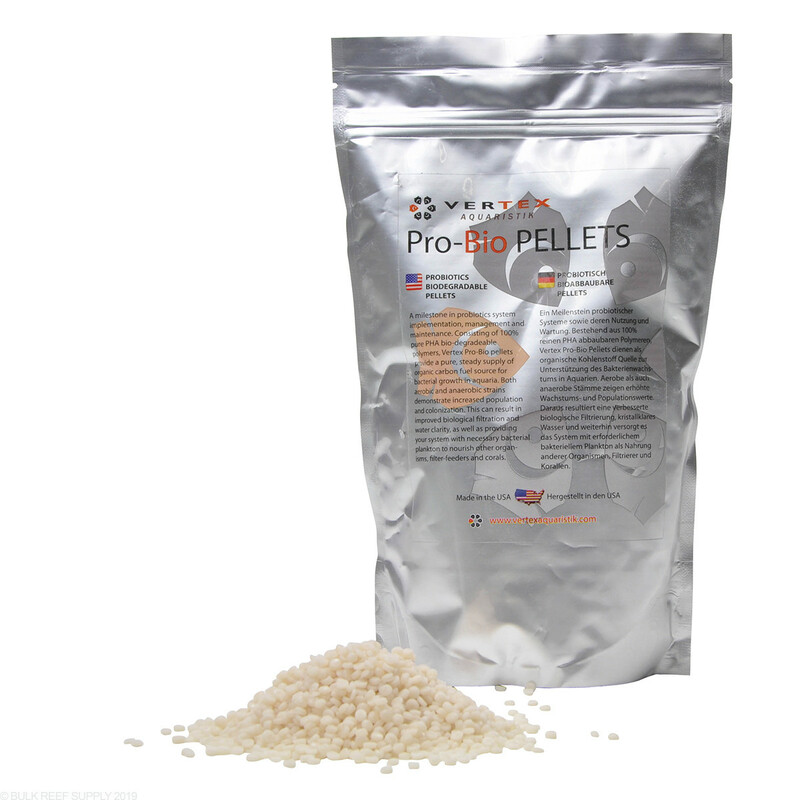 Vertex Pro-Bio Pellets work to remove nitrates produced when fish foods and resulting waste break down. Maintaining low nitrates is key to maintaining the best coral coloration, healthy fish and avoiding algae outbreaks. 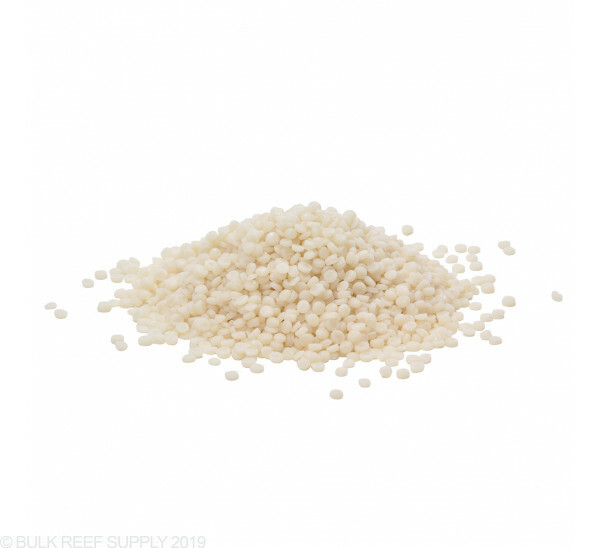 We recommend 1 Cup (236mL) of Vertex Pro-Biopellets per 50 Gallons of aquarium water volume. 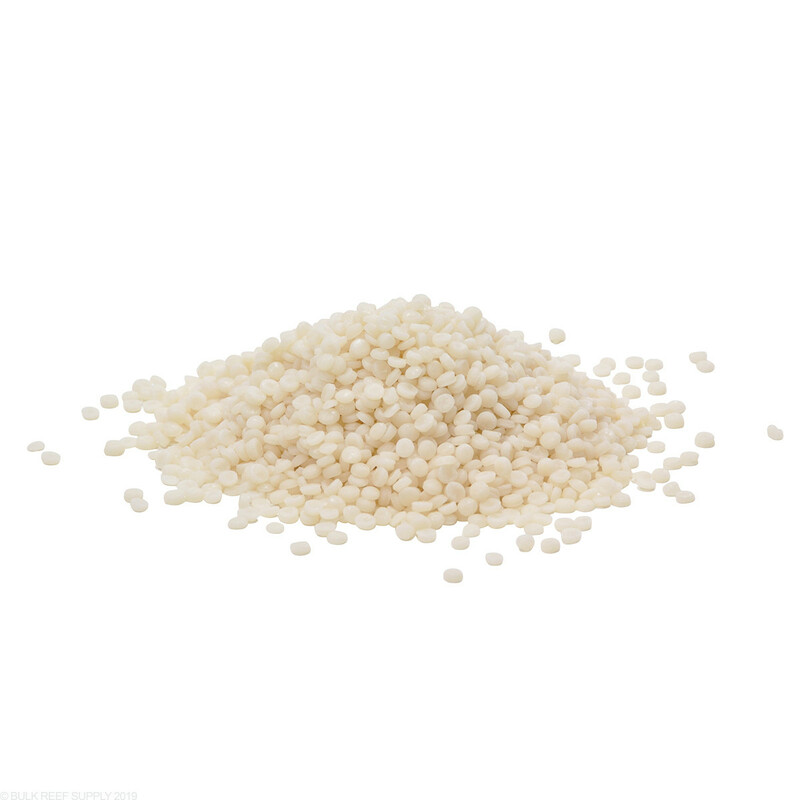 Biopellets should be vigorously tumbled in a fluidized reactor, and for the best results, a bacterial additive like KZ ZeoBak or Brightwell Microbacter7 can be used to help speed up the colonization process. Traditionally it will take anywhere from 4-8 weeks before nitrate levels will become noticeably less, and it is best just to let the reactor run its course over that time with minimal interruptions. I had been using another brand of pellets in my reactor. They often clumped and did not tumble well. These pellets are slightly larger and tumble great. They have not clumped and my tank looks amazing. These pellets are defiantly what I will be using for now on. I purchased these to reduce Nitrates. I took my GFO reactor out, so I wouldn't strip all my phosphates out of the water. Eight months later and I haven't had to reinstall my GFO reactor. Phosphates and Nitrates read as undetectable and I feed my fish and corals a heavy load. I like these pellets so far. Was time to replace the pellets in my phosban reactor as the old ones were blowing through the reactor. I always had clumping issues, even after modding the reactor as many do to combat that issue. The Vertex pellets tumble easily and didn't make my skimmer go crazy either as I thought they might. They are larger and different shaped than "normal" pellets too, which might contribute to their easy tumble. Seem to work as advertised. I've been using this product for a couple of years now and I've never had any issues and it works. I've been using BRS Biopellets 6 months with my Reef Octopus Biochurn reactor, and haven't noticed any drop off in my nitrates. Should I stop using my GFO (I change that every 6 weeks)? And when do I know it's time to replace the Biopellets? Finally, how fast should I be tumbling the media? I really would appreciate any help! I am in the market of purchasing Bio pellets. I see you have three that i can choose from will anyone please enplane the difference of the three? I see the two little fishes, BRS bulk bio pellets and the Vertex pro bio pellets. I am setting up a nano reef 25 gal. Thank you. What is the suggested pellet qty per gallon of water. Rather than measuring by pellet quantity, we recommend a volume of 1 cup (236mL) of biopellet media for every 50 gallons of aquarium volume. It's also recommended to start out lower than this for the first month or two if just getting started with biopellets, until the system has had a chance to break in.